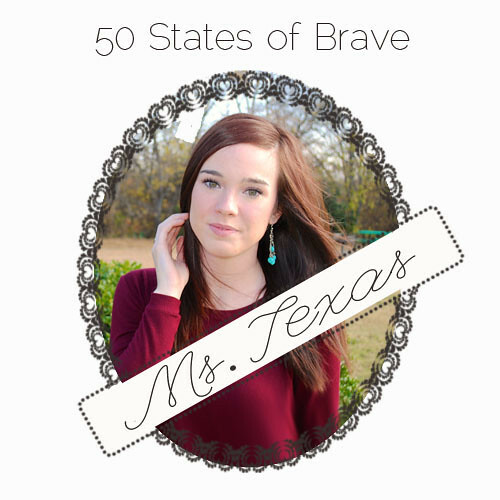 Favor the Brave: 50 states of brave introduces: ms. texas! If you're just joining us, 50 States of Brave is a blogging project that celebrates the little opportunities we have to be brave everyday and the women who make these habits a way of life. As part of the project, everyone blogger is sending in a story of the bravest thing they've ever done for all of us to get to read, which makes us pretty excited. The whole project is sponsored by Favoring Brave, my Etsy store. Each lady gets to pick an item from the store to model in her post and keep as a souvenir of her bravery! Wanna see all of the brave ladies already featured? 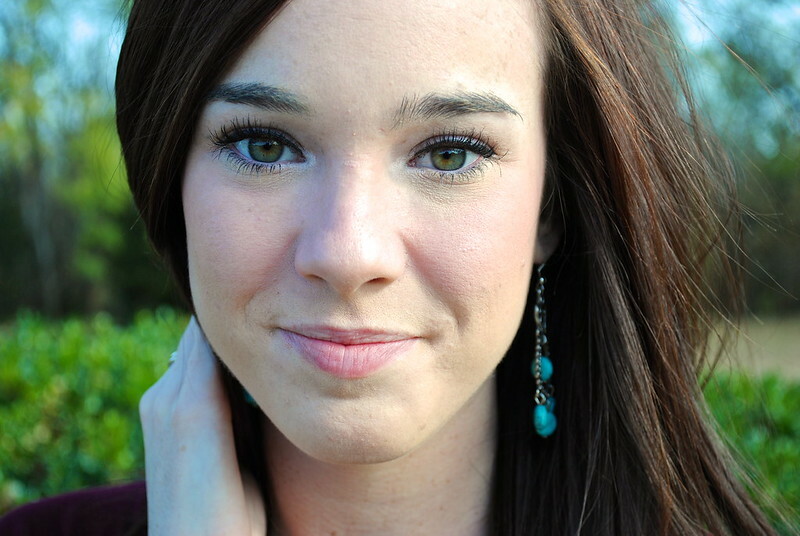 Visit our lovely archives or Pinterest page of bloggers and their Favoring Brave picks! Wanna join in the fun and represent your state? There's more info about that at the bottom of this post. When Jill asked me to be apart of her 50 State of Brave, I could not be more thrilled. I was honored to be featured alongside fellow women and bloggers around the country sharing stories of bravery. Although, whenever I sat down to write a story of a time I felt brave, I froze. You know, I never thought of myself as “brave”, and it took me a while to come up with something I felt was good enough to share. After much thought and looking back, I realized that one of the times I have felt the most brave was right now. I am a newly graduated college student, no job, no money, just a life full of mystery. If you were to know me at all, you would know that I am a planner, a control freak if you will. So since at this time in life I have no solid “plan”, life is quite scary and I have to admit I feel brave. I have chosen to use this time of the unknown to explore, life freely, and feel excited to see what will come next. It is not always easy; it’s actually quite difficult for me. But I am thrilled and excited to see what comes next. Hop over to Sara's blog and here more about her life right now... and see what adorableness she's wearing. Sara is modeling the Santa Fe Coin Earrings by Favoring Brave. 1. Follow Favor the Brave through GFC or Bloglovin. 2. Send me an email at favoringbrave@gmail.com with your name, you blog address, what state you're from, and why you should get to represent your state as it's resident brave lady! Some states are filled already, but there are lots of openings left! This is a really cute idea! Ms. Texas' bravery is commendable,You'll find your path!! Great earrings too! I am your newest follower from the Blogger Girl in a Blogger World Hop. Love for you to stop by and check out my blog. Blogging is brave - anyone who does it already knows this. You never know what you're putting yourself out there for, you just hope that the reward will keep being way more awesome than any internet troll-ness you come across. And as a fellow control freak... girl, flying by the seat of your pants is the bravest thing ever.